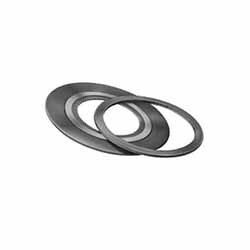 ﻿ SS 304L Metal Gasket, SS 304 Spiral Wound Gasket Exporter. 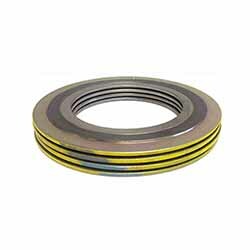 Stainless Steel 304 Ring Gaskets Manufacturer, Stainless Steel 304L Spiral Wound Gasket Exporter, SS 304/304L RX Gaskets Supplier In India. At Amcometals, we are dedicated in creating customer centric engagements that are highly reliable and durable. As an ISO certified company we make sure that we provide excellent customer service and innovative products to our customers. We don’t just deliver products but also guide our customers in choosing the most suitable ones for their requirements. 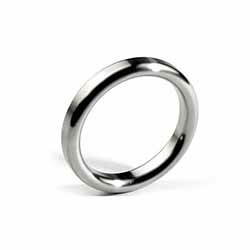 We are a manufacturer, trader, stockist, supplier and exporter of Stainless Steel 304/304L Gaskets that ensure good formability and easy fabrication, have an enhanced protection against intergranular corrosion and are an economical, corrosion resistant gasket alternative. It is a wise decision to use our 304/304L Graphite filler Gaskets in your brewery pharmaceutical, food processing and dairy industry as theses gaskets have graphite filler which is neutral to many corrosives like oils, acids, solutions, etc. We deliver 304/304L Insulation Gaskets to the architectural and construction industry. Studying the market demands and trends we come up with products that are instant solutions to these. We have been in the industry for 25 years and earned a huge customer base with our extra-ordinary services. ASTM B182 SS Octagonal Gasket Manufacturer, SS 304 O Ring Gasket Exporter, SS 304L Grooved Gaskets Supplier In Worldwide. Greece, Turkey, Namibia, Peru, Israel, Czech Republic, Vietnam, Taiwan, Russia, Sri Lanka, Slovakia, Chile, Belarus, Romania, Italy, Angola, Japan, Indonesia, Libya, Nigeria, Ecuador, South Africa, Ireland, Denmark, Yemen, Mexico, Gabon, South Korea, Serbia, Bulgaria, Trinidad & Tobago,Tunisia, Canada, Puerto Rico, Croatia, New Zealand, Lithuania, Afghanistan, China, United Arab Emirates, Estonia, Algeria, Singapore, Brazil, Nigeria, Poland, Iran, Costa Rica, Portugal, Argentina, Kazakhstan, Saudi Arabia, Kenya, Ghana, Qatar, Austria, Lebanon, Mongolia, Mexico, Ukraine, Colombia, Bahrain, Iraq, Nepal, Venezuela, Switzerland, Poland, Bhutan, Hong Kong, India, Belgium, Gambia, Norway, Australia, Finland, Philippines, Oman, Germany, Malaysia, Iran, Morocco, Thailand, France, Macau, Bangladesh, Kuwait, Pakistan, Bolivia, Spain, Egypt, Zimbabwe, United Kingdom, Jordan, Tibet, Sweden, United States, Netherlands, Azerbaijan, Hungary, Chile. Edmonton, Pune, Melbourne, Manama, Brisbane, Bogota, Surat, Visakhapatnam, Ho Chi Minh City, Al Jubail, Bengaluru, Caracas, Seoul, Dallas, Hong Kong, Noida, Jamshedpur, Haryana, Perth, Doha, Nagpur, New Delhi, Karachi, Istanbul, Hanoi, Pimpri-Chinchwad, Petaling Jaya, Nashik, Tehran, Dubai, Ernakulam, Geoje-si, Ankara, Al Khobar, Thiruvananthapuram, Chandigarh, Atyrau, Ahmedabad, Vung Tau, Indore, Baroda, Faridabad, Port-of-Spain, Sharjah, Houston, Aberdeen, New York, Thane, Colombo, Hyderabad, Coimbatore, Santiago, Kuala Lumpur, Bhopal, Secunderabad, La Victoria, Gimhae-si, Rajkot, Gurgaon, Abu Dhabi, Dammam, Vadodara, Ahvaz, Howrah, Lahore, Riyadh, Busan, Bangkok, Toronto, Muscat, Chennai, Madrid, Los Angeles, Kolkata, Ludhiana, Milan, Moscow, Courbevoie, Mexico City, Algiers, Mumbai, Granada, Navi Mumbai, Rio de Janeiro, Sydney, Jeddah, Lagos, Singapore, London, Kanpur, Cairo, Ranchi, Montreal, Ulsan, Calgary, Jaipur, Jakarta, Kuwait City, Chiyoda.